Hidora Review 2019: Is Hidora a Good Hosting? Hidora provides a managed cloud platform for container-based application hosting, plus optimized CMS hosting for WordPress, Magento and more. 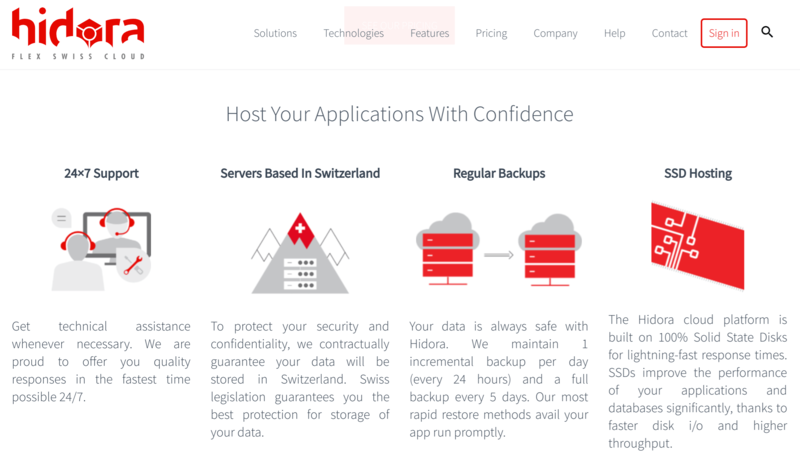 Swiss company Hidora provides a managed cloud platform that allows software developers to host their applications with confidence. It uses Jelastic platform-as-a-service (PaaS) and containers-as-a-service (CaaS) cloud technologies to simplify application deployment for e-commerce companies, developers and agencies. 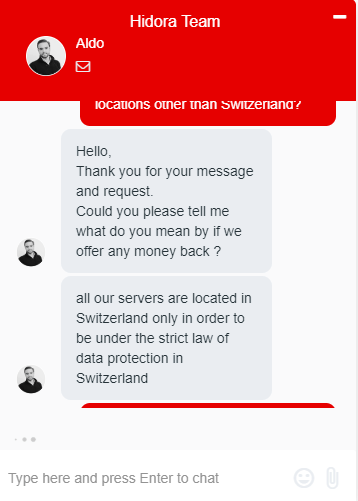 Hidora’s servers are in Switzerland, and its website is in English. The cloud platform allows you to create and scale applications using multiple programming languages (Java, Ruby, Python, PHP or Node.js), and it automates complex administration tasks so you can concentrate on the coding rather than the hosting. Although primarily aimed at software development organizations, Hidora also offers optimized e-commerce and CMS hosting for WordPress, Joomla, Magento, Drupal, and PrestaShop, some of which can be installed with one-click. In addition, the Hidora cloud marketplace provides a selection of 60 performance-optimized and highly available apps, including e-commerce apps, enterprise portals, CI/CD solutions, and project management tools. Hidora offers a scalable pricing model (where you pay for what you use) rather than fixed price plans. For example, if you create an 8 GB server but only use 2 GB, then you only pay for the 2 GB. To help you estimate your costs, Hidora’s website includes a cost calculator that allows you to set values via sliders for the number of servers, RAM per server (from 128 MB to 16 GB), CPU per server (from 400 MHz to 51.2 GHz), SSD storage (from 10 GB to 500 GB), and public IP address. Several preconfigured plan examples are also shown on the website. The Hidora home page invites you to start a free trial (for 14 days) or request a demo (so that the staff can spend 30 minutes showing you how easy it is to create an environment, deploy applications, and use Docker containers). Once you become a customer, you can either pre-pay for hourly usage or post-pay for your resource consumption. All payments must be made in Swiss francs via credit/debit card, PayPal, or Postpay invoicing. Although there is no knowledge base, there is a very well organized FAQ page. Hidora is not a regular ‘website’ hosting company. It specializes in optimized CMS hosting and container-based application hosting in the cloud. For professional application hosting in the cloud, say “hi” to Hidora! Wondering how Hidora stacks up against other Web Hosting companies? Enter any other Web Hosting company and we will give you a side-by-side comparison.